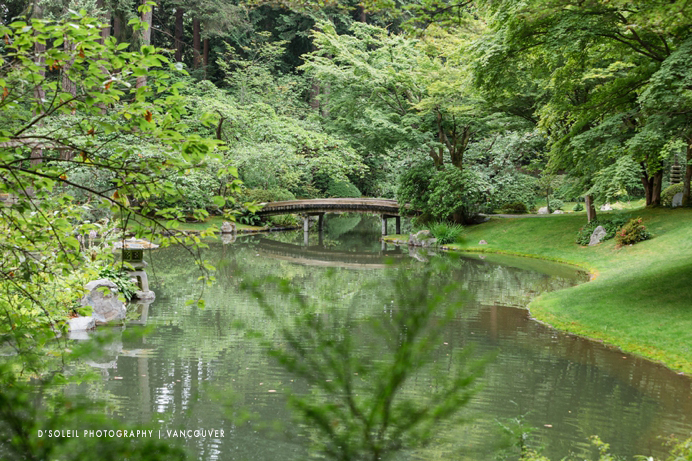 It was a dry summer this year. 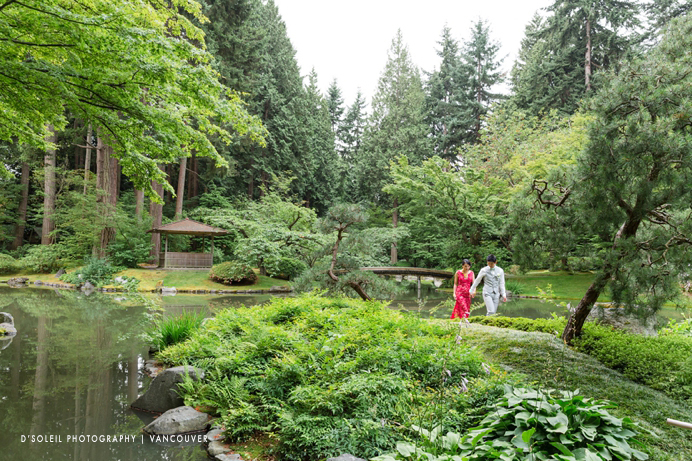 So dry that we had more than our fair share of forest fires in BC. 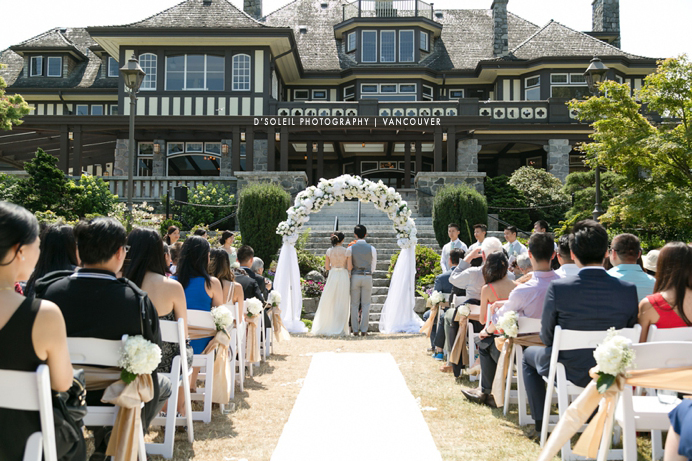 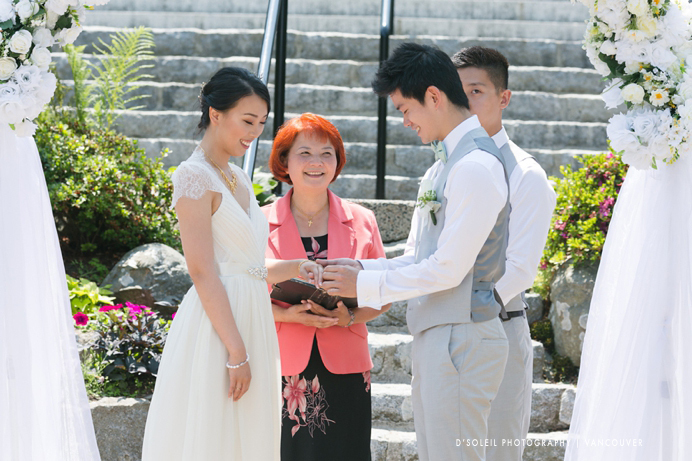 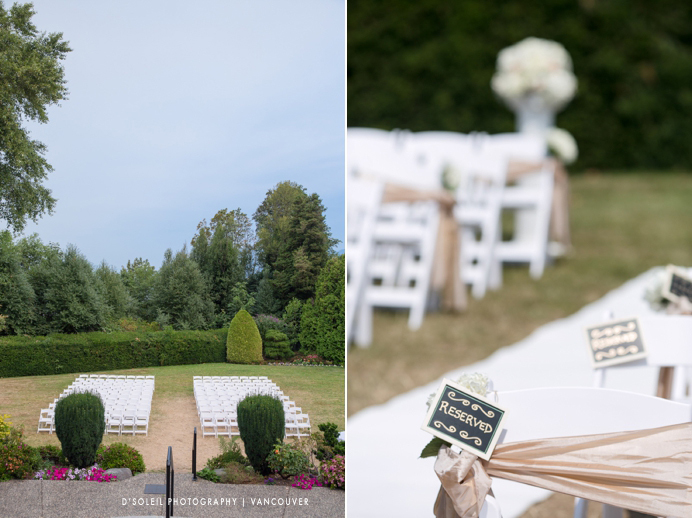 One fire on Vancouver Island in particular was so widespread, that the smoke made its way to the Lower Mainland, and made a visit to Carman + Martin’s Cecil Green and Kirin Starlight wedding. 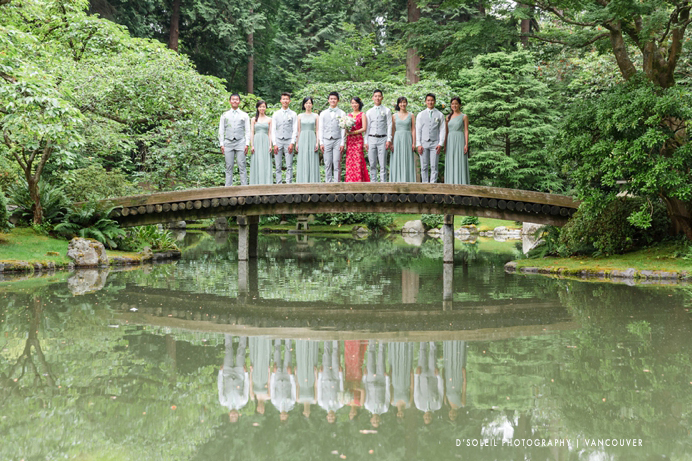 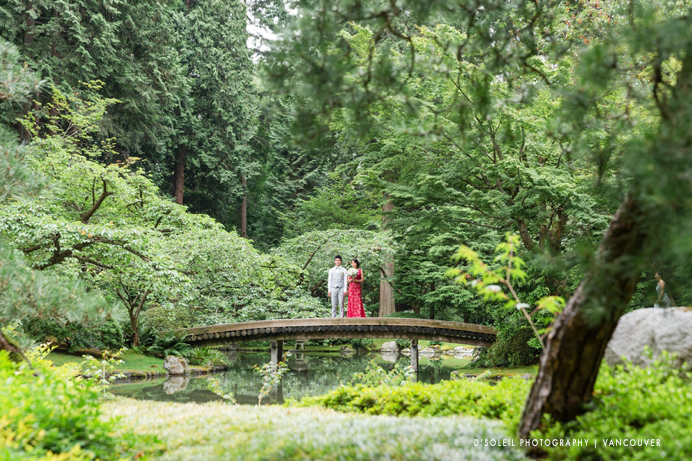 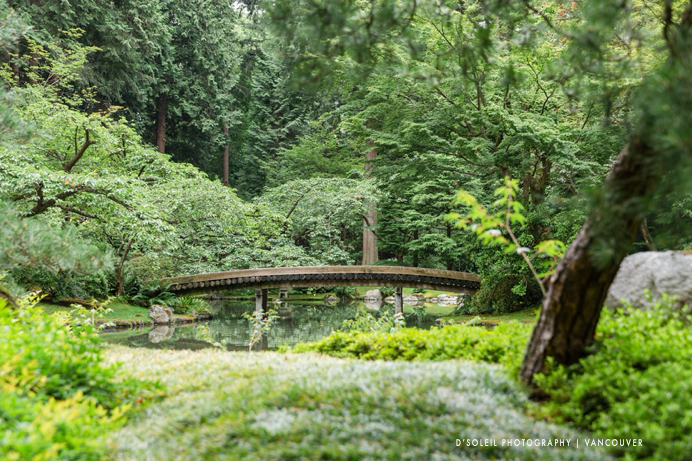 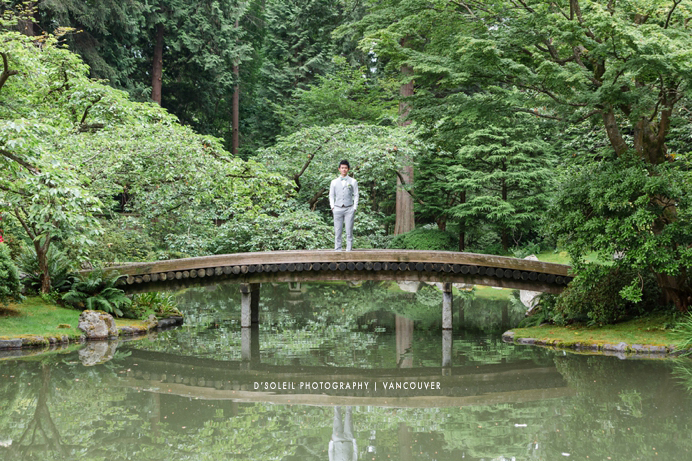 We started the morning with wedding photos at Nitobe Memorial Gardens at UBC. 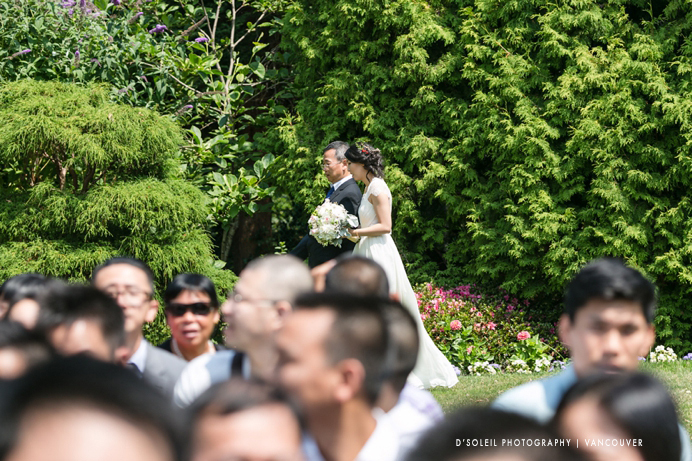 In the early morning, there were few visitors around, so enjoying the gardens was far easier for the entire wedding party. 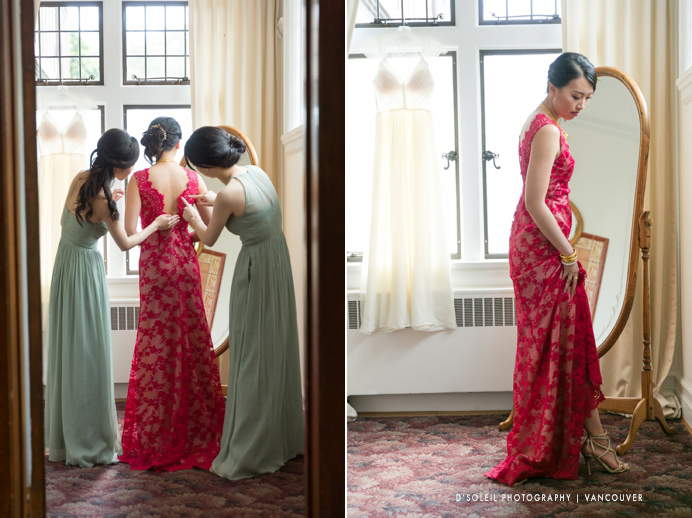 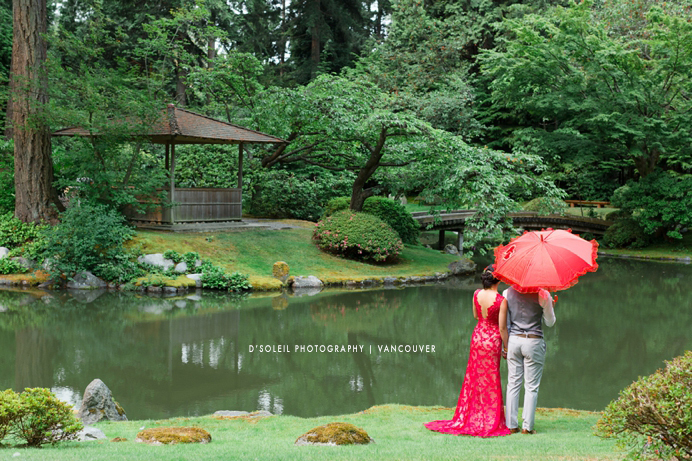 It is Chinese tradition for the Bride and Groom to be covered by a red umbrella as they leave the bride’s house. 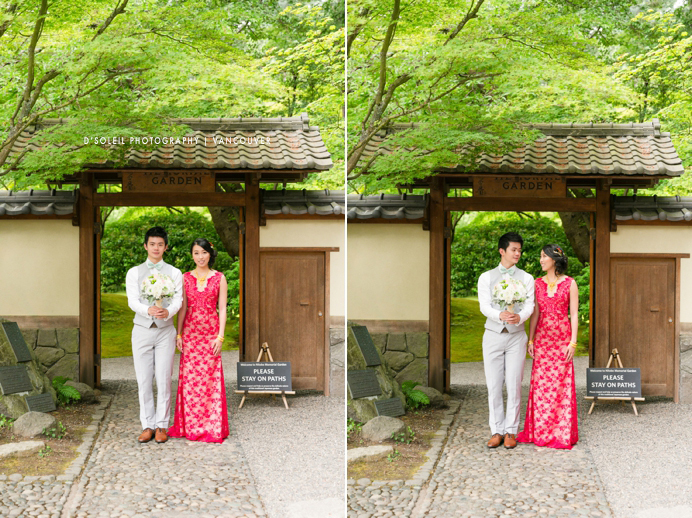 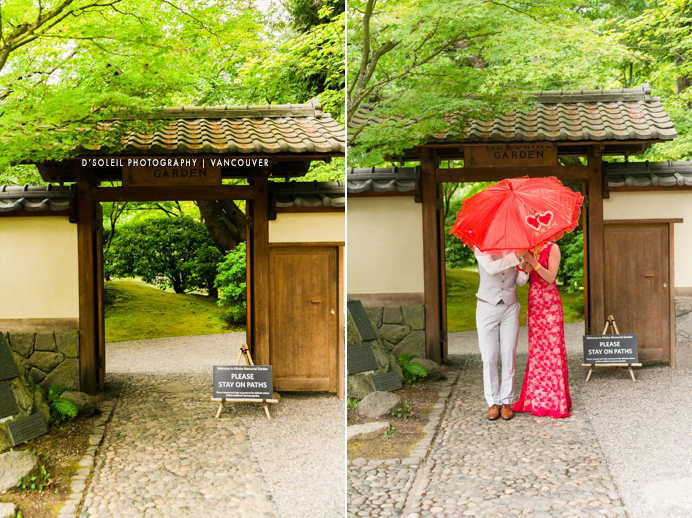 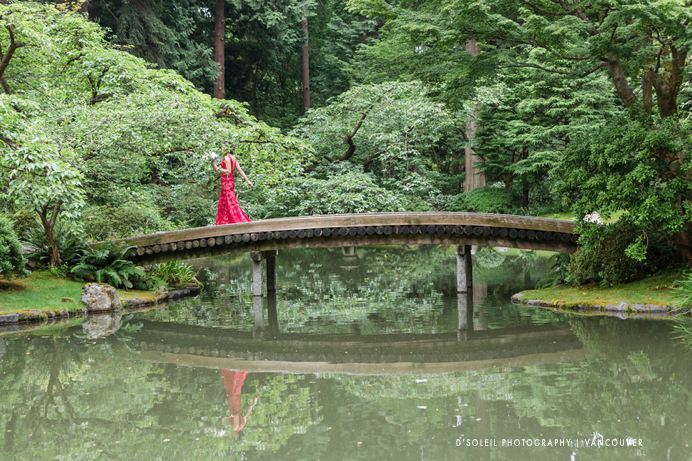 Since we didn’t spend the morning with the bride and groom at the bride’s home, they brought the red umbrella with them for wedding photos at Nitobe Gardens. 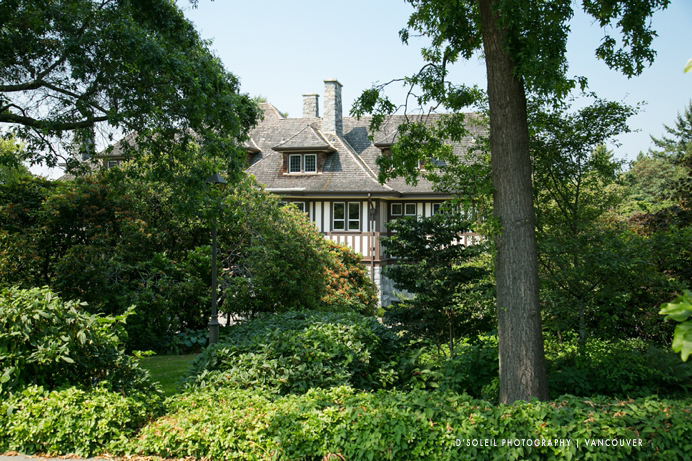 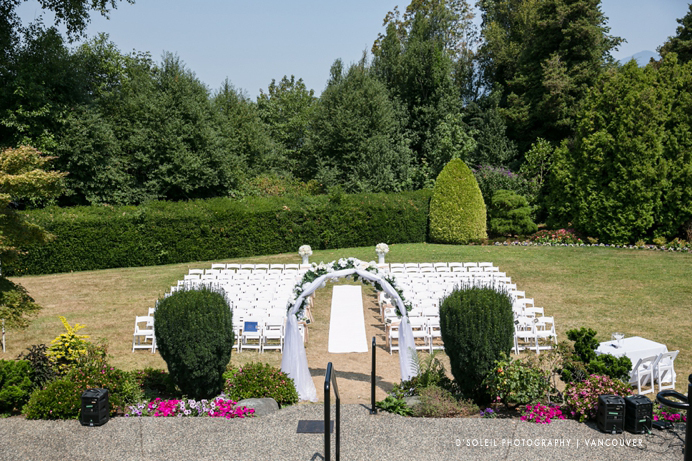 The tranquil garden was a beautiful location nearby to Cecil Green, where Carman and Martin held their outdoor wedding ceremony. 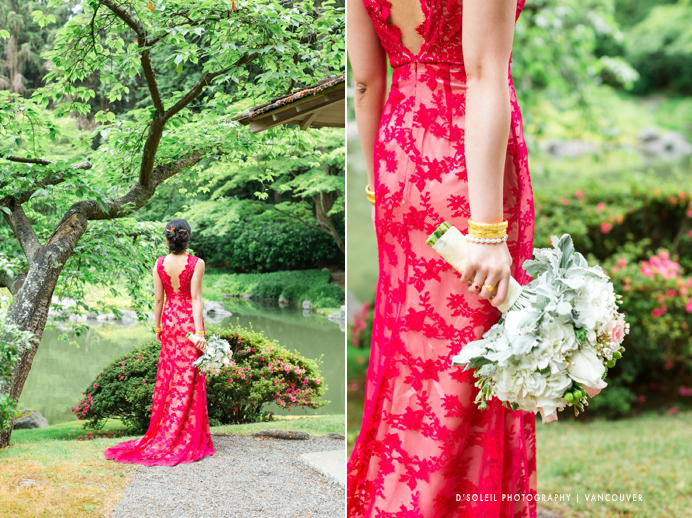 Carman’s red Chinese dress looked amazing against the contrasting green trees and foliage of Nitobe Memorial Garden. 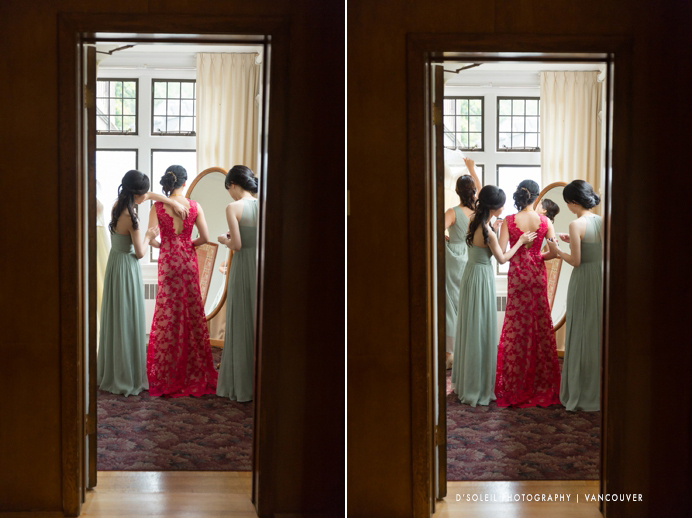 My aim was to produce wedding photos with a simple, tranquil quality – Preserving calm is so key in these moments before the wedding ceremony. 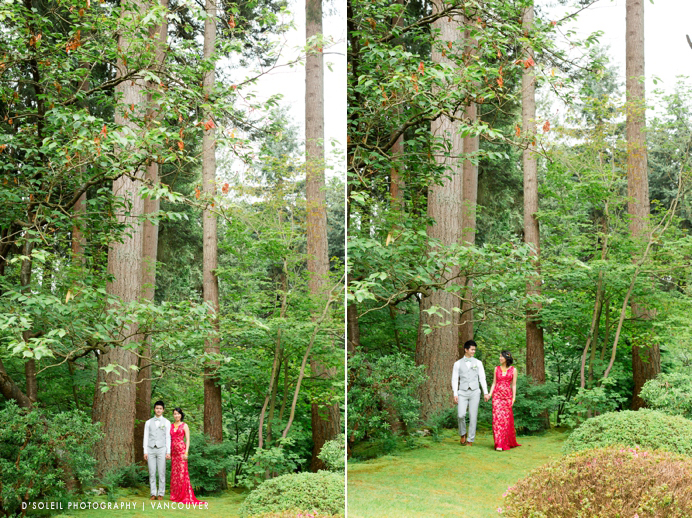 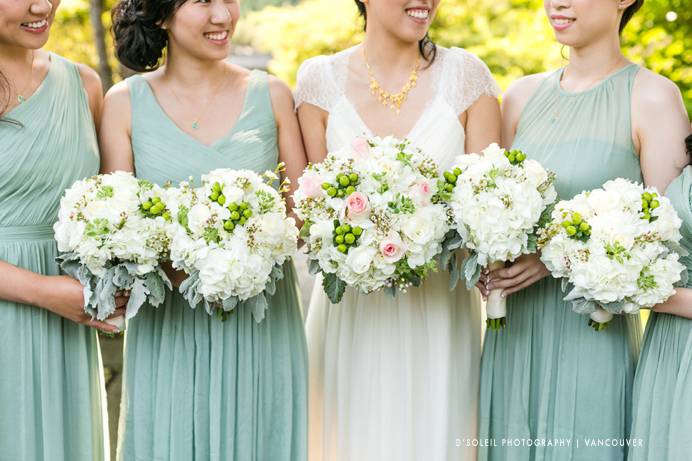 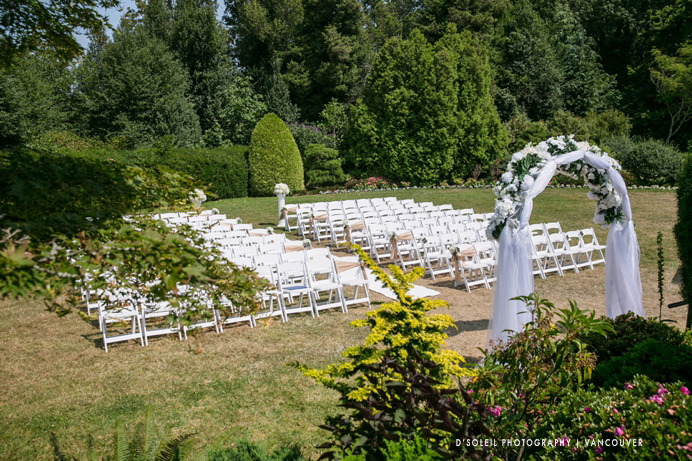 One last look at the garden before leaving for their wedding ceremony at Cecil Green House, UBC. 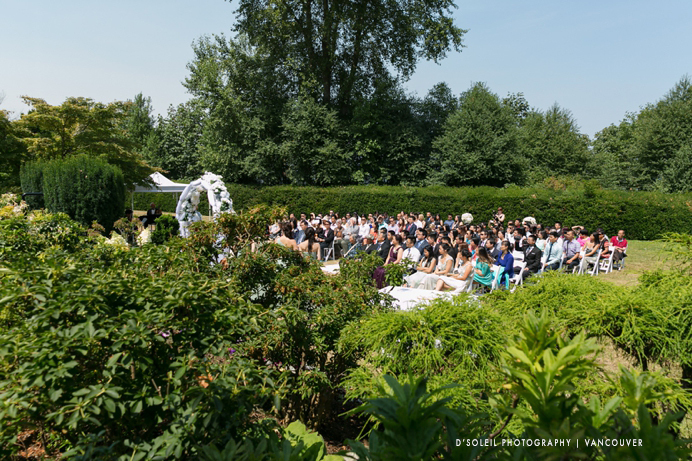 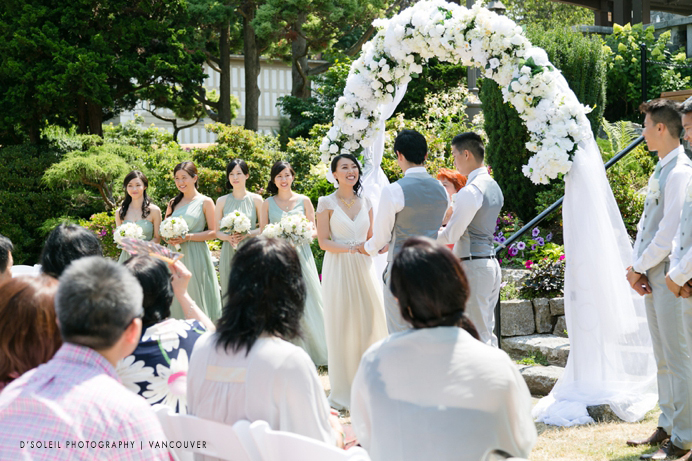 The smoky fog was like a diffusion filter over the outdoor ceremony, softening the sunlight and creating an overcast feel to the images while still allowing some blue sky. 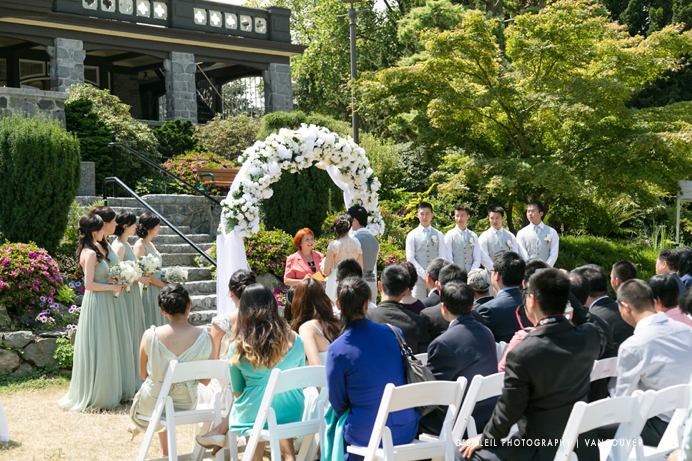 I love it when weddings at Cecil Green House are set up outdoors with the front altar towards the house. 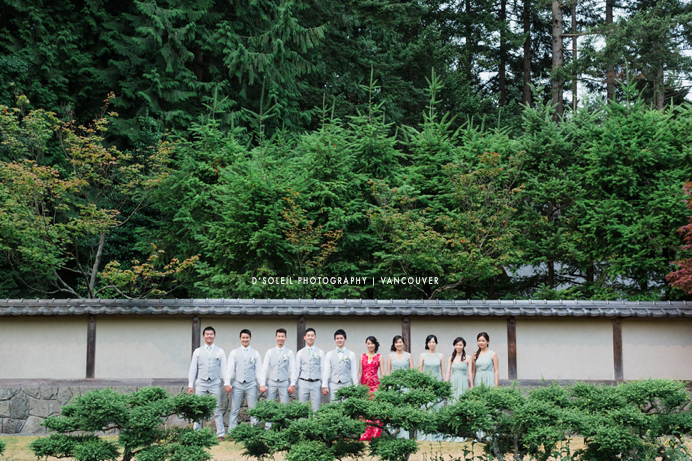 It makes for beautiful wedding photos with the house in the background rather than the hedge. 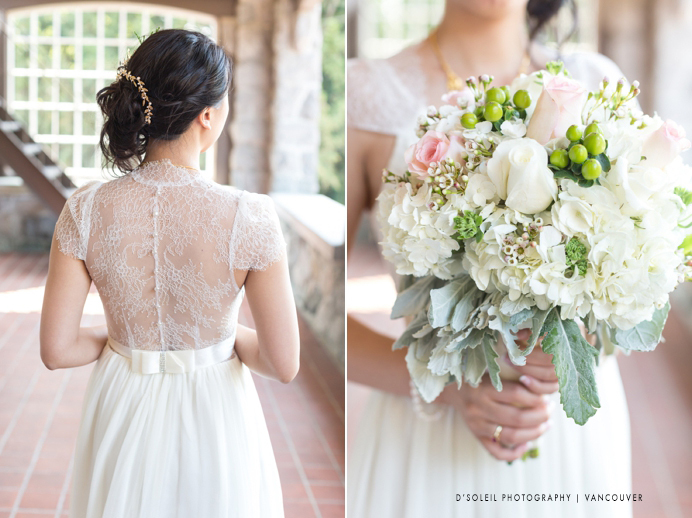 The bridal room is small, but classic and simple. 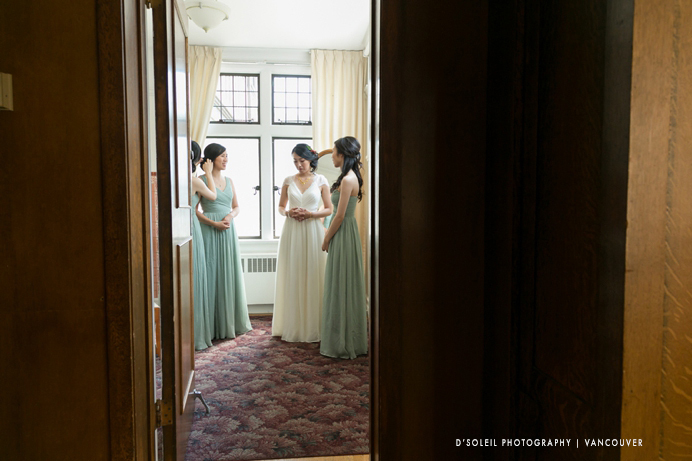 The light is always beautiful in the bridal room at Cecil Green. 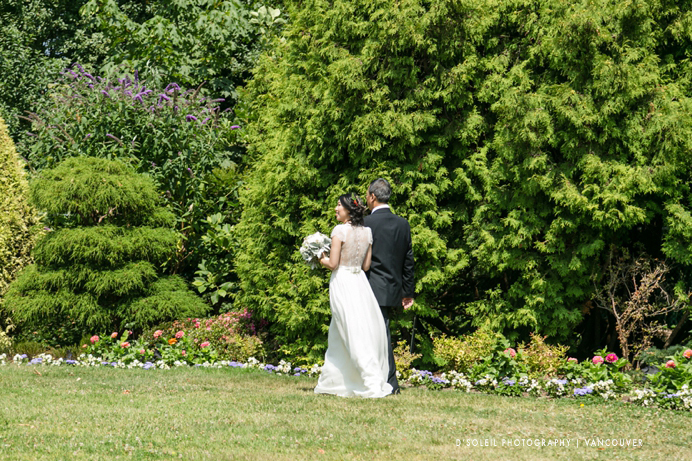 Carman and her dad made the long walk together, enjoying their final moments leading up to the wedding ceremony. 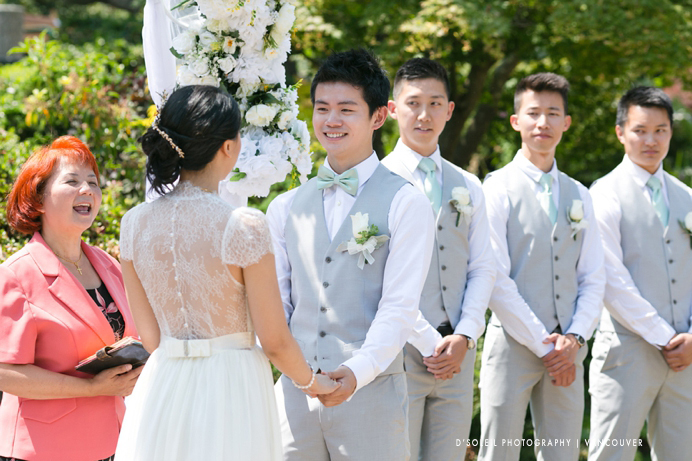 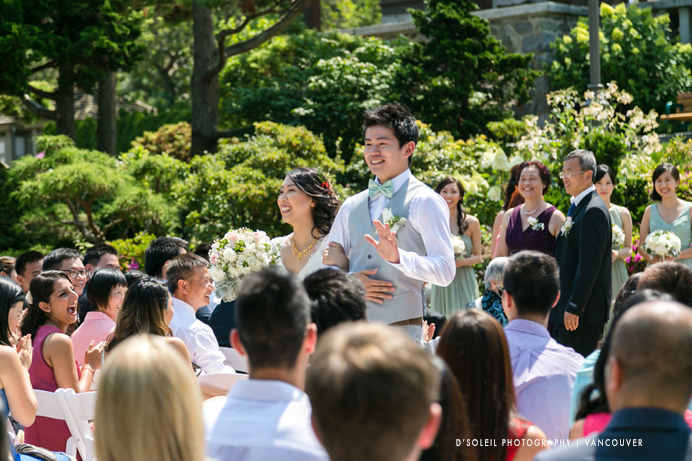 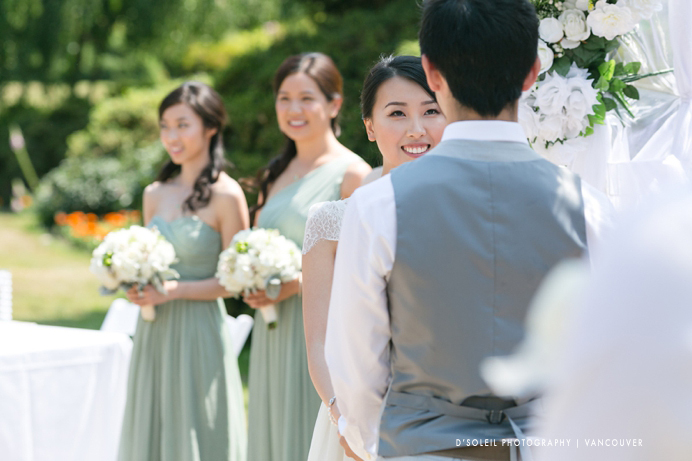 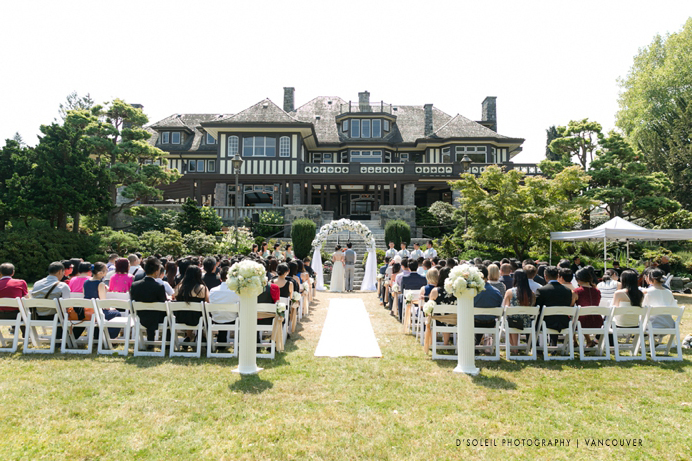 The house in the background is the perfect perspective for a Cecil Green wedding ceremony on the main lawn. 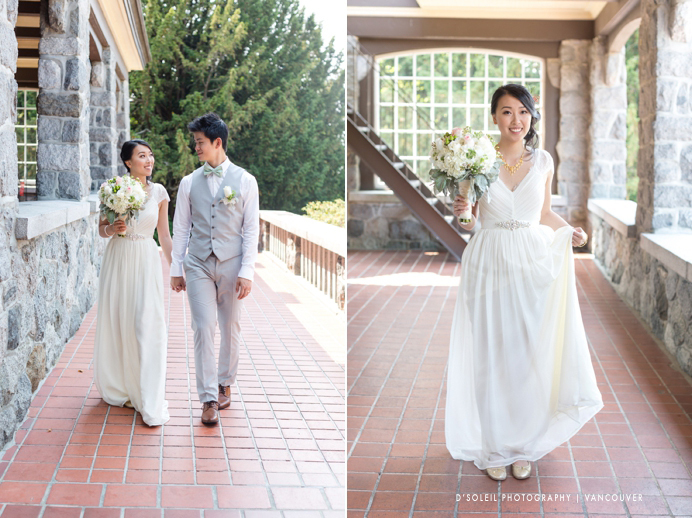 Carman’s timeless dress with beautiful vintage detail. 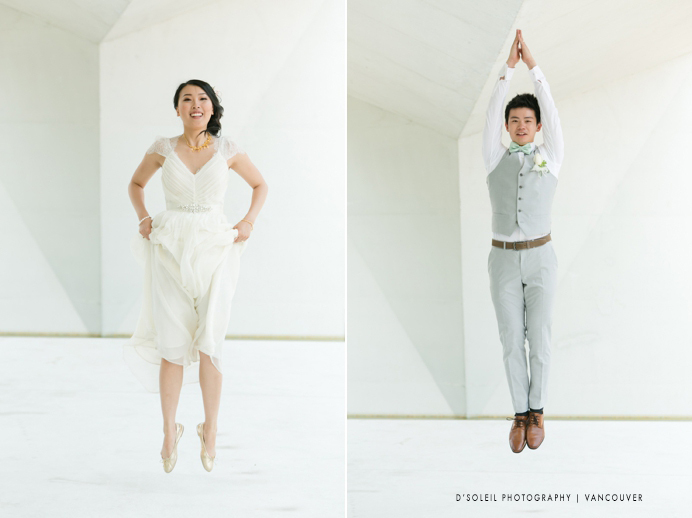 We love it when couples have a little fun with their wedding photos. 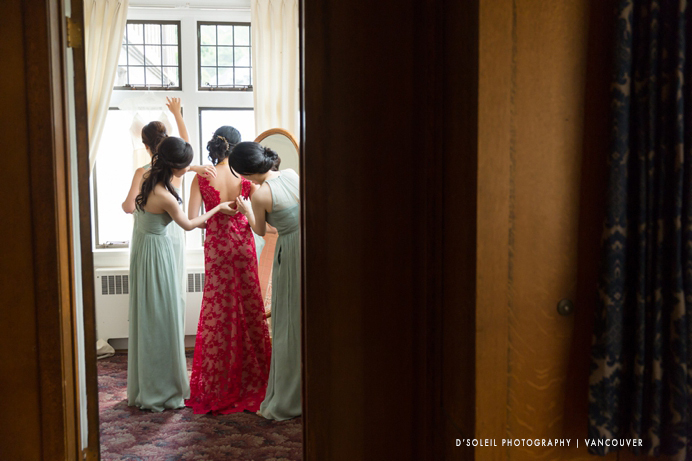 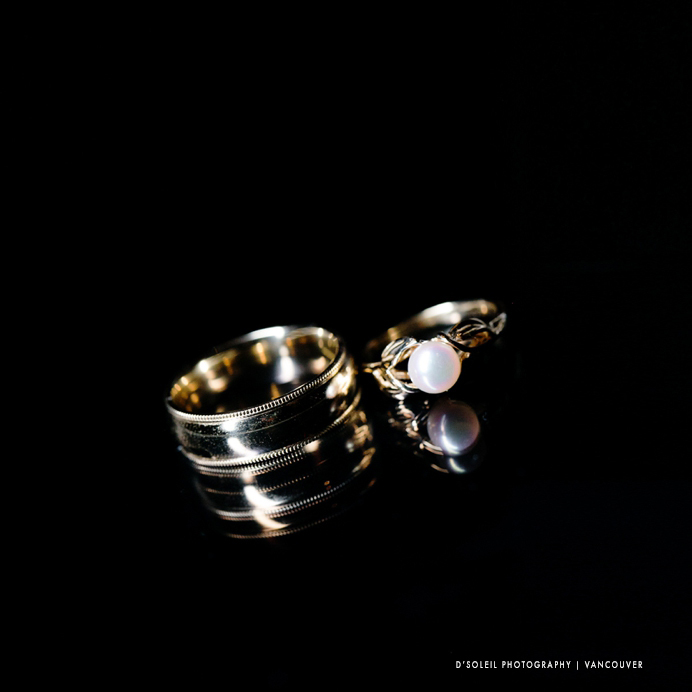 Relaxed and fun wedding photos take the stress out of the day. 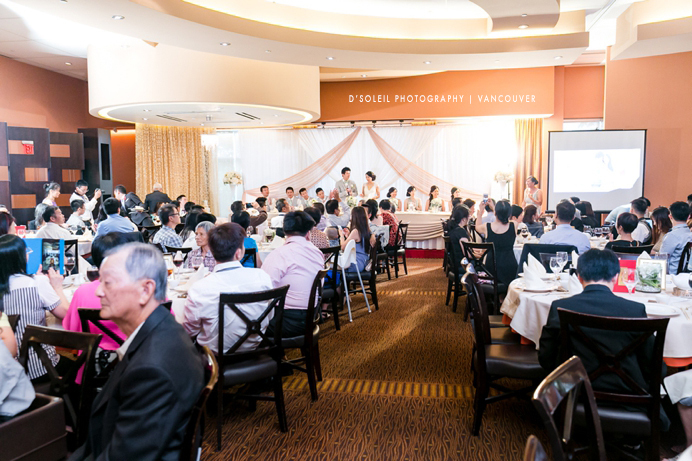 Then we drove to their Kirin Starlight wedding reception in New Westminster. 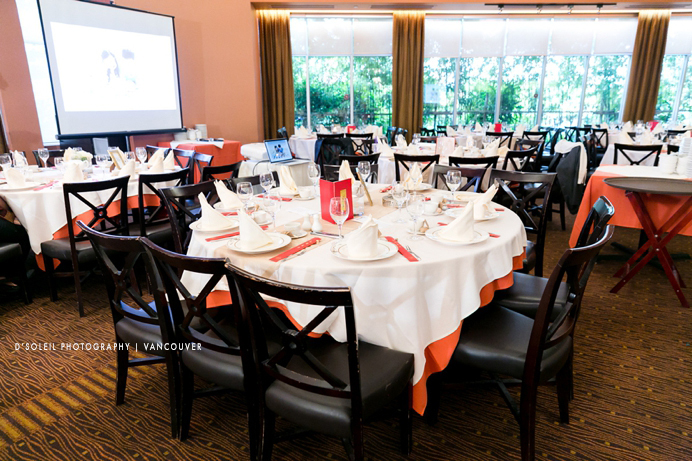 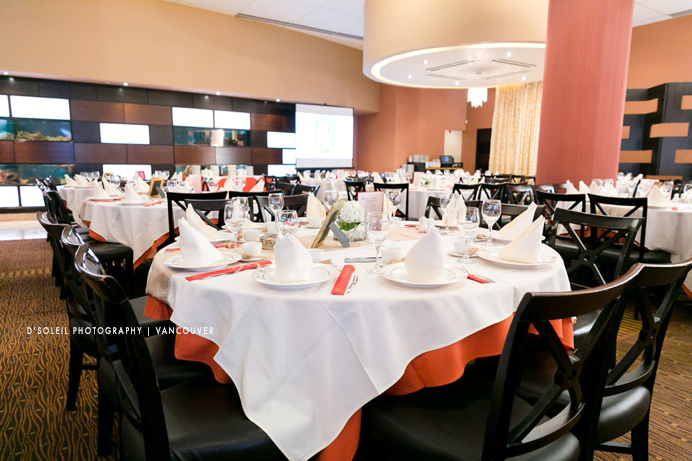 Kirin Starlight is a modern Chinese Seafood Restaurant known for their great food and large dining room – perfect for large Chinese weddings. 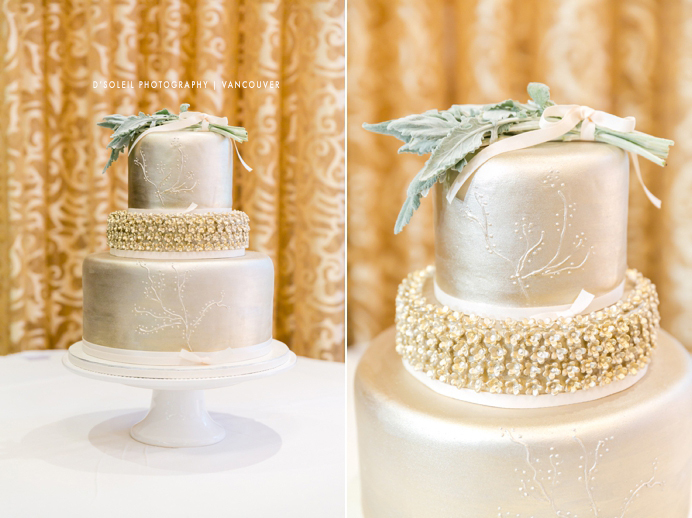 Their beautiful Champagne wedding cake was created by none other than Paula of Aerya Cakes. 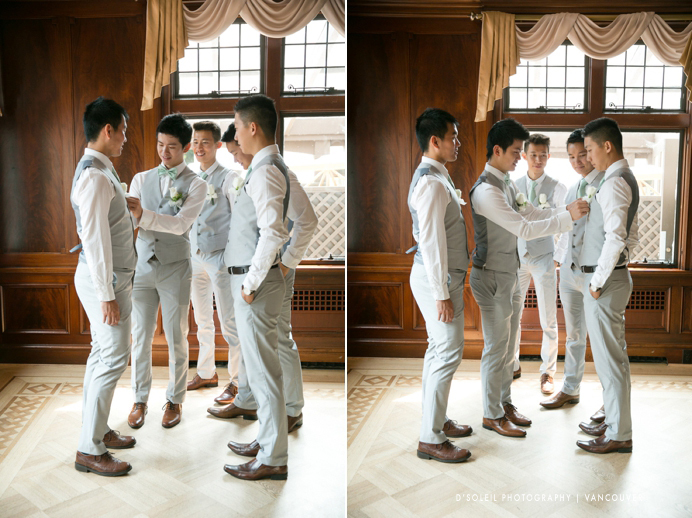 No wedding is complete nowadays without games being a fun part of the wedding reception. 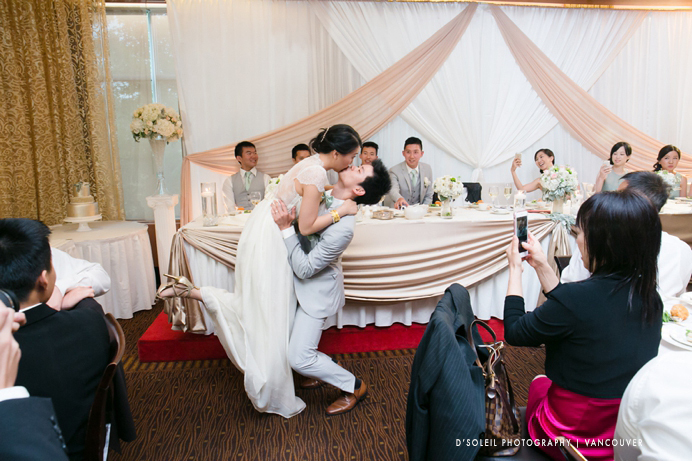 The shoe game is one of the most popular, and so are kissing games during dinner. 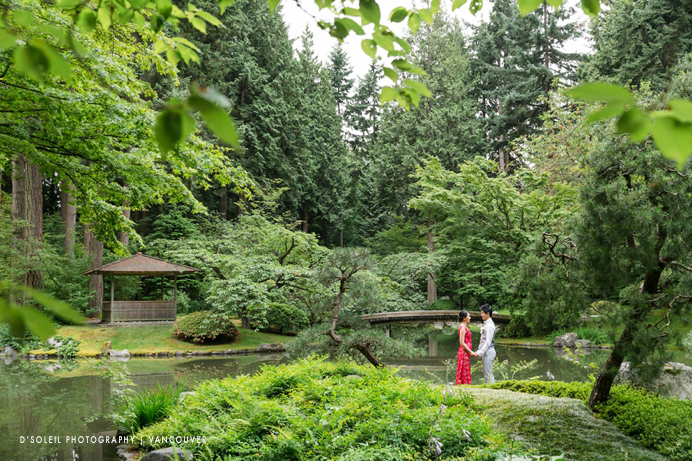 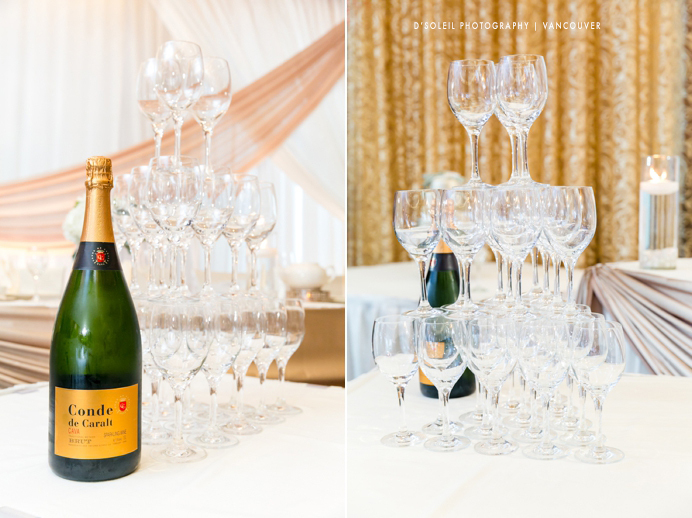 Despite the smoke from forest fires that day, the wedding day unfolded perfectly and we thoroughly enjoyed spending the day with Carman and Martin. 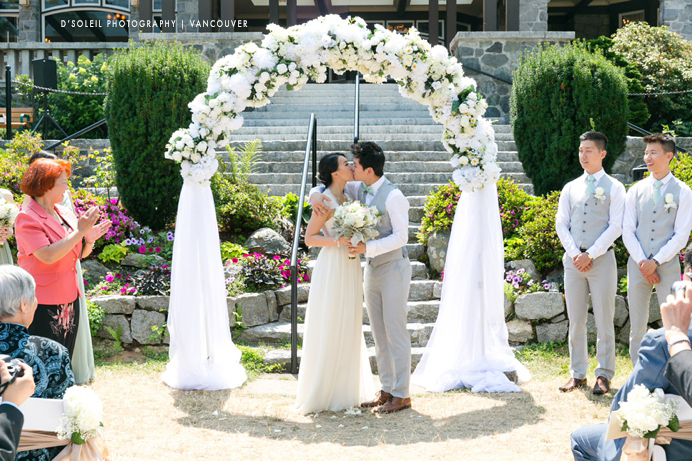 Congratulations again Carman and Martin!